What Does an A/V Receiver Do? 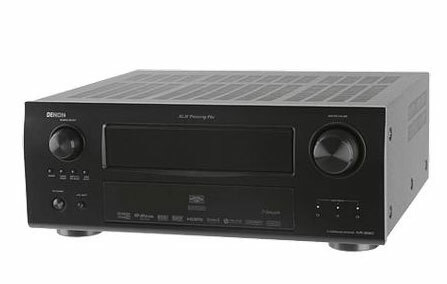 The A/V receiver is the hub of a home theater. An A/V receiver is the electronic component that controls and drives your home theater experience. Before you can evaluate A/V receivers, you need a good understanding of exactly what an A/V receiver does. Connects and switches your audio sources: Every audio source in your home theater should connect to your A/V receiver. The preamplifier section of the receiver allows you to easily switch to (or select) the audio source that you want to listen to. Connects and switches your video sources: Your video source devices are also connected directly to the A/V receiver, which is connected in turn to your display device. This setup greatly simplifies the selection of video sources when you want to play a DVD, a show recorded on a PVR (such as a TiVo), or anything else. In most cases, you select what you want to watch on the receiver’s remote and don’t have to adjust anything on the display. Some folks feel that they can get the highest video quality by not connecting video sources through the receiver. However, with the advent of high-quality component video and even HDMI (High-Definition Multimedia Interface) switching, there’s a lot to be gained by switching your video through the receiver, and little, if any, degradation in the quality of your video picture. Tunes in radio programming: Part of the definition of a receiver is that it includes a radio tuner. A number of A/V receivers include satellite radio receivers for XM or Sirius radio. So if you want to get sports programming or other satellite-exclusive content, you might want to consider getting this capability built in to your A/V receiver. However, you’ll have to pay extra for the subscription. If you don’t want to pay more but are still interested in “digital” radio, you might also look for a receiver that can pick up the new (and free) HD Radio format. Decodes surround-sound formats: The ability to decode analog and digital surround-sound formats is a feature that distinguishes an A/V receiver from a more traditional stereo receiver (the plain old stereo you’ve had around for years). Some receivers now have the ability to decode the Dolby TrueHD and DTS Master Audio formats found on some Blu-ray discs. Amplifies audio signals to drive multiple speakers: Another distinguishing characteristic of an A/V receiver is the fact that it contains at least five channels of amplification to drive (or provide power to) your surround-sound speaker system. Provides the user interface for your home theater: The interface includes the receiver’s remote control, the displays on the receiver’s face, and (in many cases) an onscreen display on your television. All these elements enable you to command all the electronic components in your home theater.